PHILADELPHIA - An abortion doctor who catered to minorities, immigrants and poor women was charged with eight counts of murder in the deaths of a patient and seven babies who were born alive and then killed with scissors, prosecutors said Wednesday. CBS News correspondent Elaine Quijano reports photos from inside the clinic, visited mostly by minority and immigrant women, show unsanitary, squalid conditions with jars and bags of aborted fetuses everywhere. 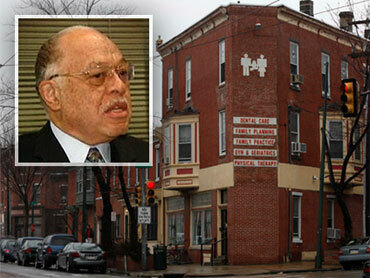 Williams said patients were subjected to squalid and barbaric conditions at Gosnell's Women's Medical Society. Gosnell's wife and eight other suspects are also under arrest in connection with the case, CBS affiliate KYW reports. Sources tell KYW that Gosnell faces eight counts of murder in the death of a woman following a botched abortion at his West Philadelphia office, along with the deaths of seven babies who, prosecutors allege, were born alive following illegal late-term abortions. Quijano reports the adult victim, prosecutors say, was 41-year-old Karnamaya Mongar, who died in 2009 after receiving an overdose of anesthesia. Four of the suspects, some improperly licensed, also face multiple counts of murder for allegedly killing the newborns. "There were bags and bottles holding aborted fetuses were scattered throughout the building," Williams said. "There were jars, lining shelves, with severed feet that he kept for no medical purpose." The workers charged in the case were untrained and unlicensed, including a high-school student who performed anesthesia with potentially lethal narcotics, Williams said. Gosnell is also the target of a federal grand jury investigation for allegedly illegally prescribing prescription drugs. Investigators say during a search of his home they found $240,000 in cash.